How is MSE working with ceramics? A ceramic is a material that is neither metallic nor organic. 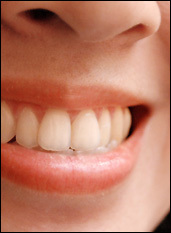 It may be crystalline, glassy or both crystalline and glassy. Ceramics are typically hard and chemically non-reactive and can be formed or densified with heat. Ceramics are more than pottery and dishes: clay, bricks, tiles, glass, and cement are probably the best-known examples. 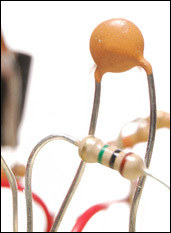 Ceramic materials are used in electronics because, depending on their composition, they may be semiconducting, superconducting, ferroelectric, or an insulator. 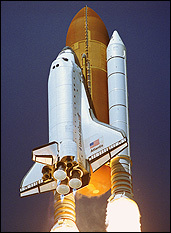 Ceramics are also used to make objects as diverse as spark plugs, fiber optics, artificial joints, space shuttle tiles, cooktops, race car brakes, micropositioners, chemical sensors, self lubricating bearings, body armor, and skis. From Digs to Dentistry: Mey Saied, an alumna of the MSE graduate program, used her expertise in ceramics to make better dental crowns while a student here at Maryland. She's also used MSE to study ancient pottery! Weird, Weird Science: Zoom Into Concrete - John Sizemore offers movies on a variety of topics on his Dailymotion site. His "Zoom Into..." series of videos about materials includes Zoom Into Concrete. 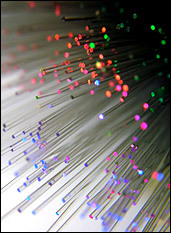 Fiber optics used in security systems, communications networks (including phones and the internet), sensors, and imaging devices for tight places, including the human body; heat-resistant, protective tiles on the outside of the space shuttles; electronics; and snowboards and skis, and other sporting goods including golf clubs and tennis rackets.